So many adventures, so little time. 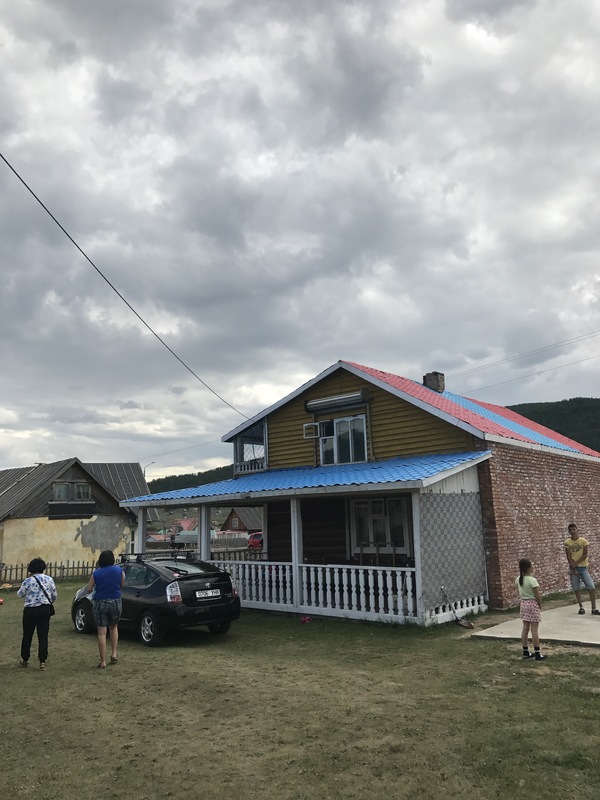 My home base in Mongolia has been an apartment in Ulaanbaatar, however, we have taken many trips away from the city. The apartment and few select cafes around town are the only places I have had access to wifi. In a few short hours I begin the long journey home. The last two and a half weeks have gone by so very fast. 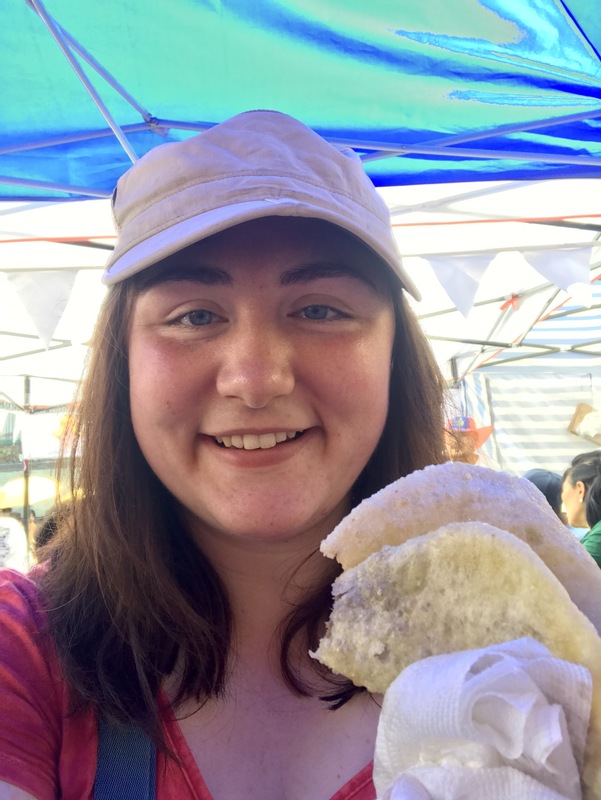 I will continue to blog about my experiences and catch up on all the amazing adventures I’ve had in Mongolia. Stay tuned! Air pollution is a serious problem in Ulaanbaatar, especially during the winter time. Poorer families living in the yurt district on the outskirts of town will burn anything and everything to stay warm. Ulaanbaatar is the coldest capital in the world with more days averaging -0.4 °C or 31.3 °F than anywhere else. Many families have what are called summer homes outside of town. People flock to them to relax and enjoy clean air outside while they can. The atmosphere at a summer house is peaceful, relaxing, and more in tune with nature. After Zola and I finished up the last of our Naadaam festivities on July 12, we met up with some of her relatives and made our way to their summer house. Traffic was really bad so it took awhile. We passed through the ger (yurt) district on our way out of town. The contrast between the ger district and the main part of UB is drastic. In UB, there are sky scrapers all over. Lots of modern and older buildings dotting the skyline. In the ger district, yurts and shacks dot the hillside. Traffic was stopped by a herd of cattle. 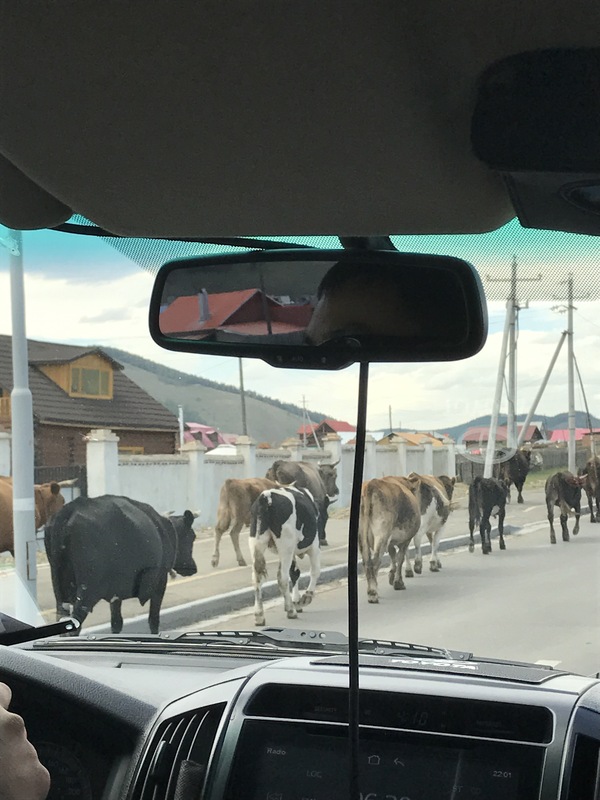 This is a very common occurrence in Mongolia. 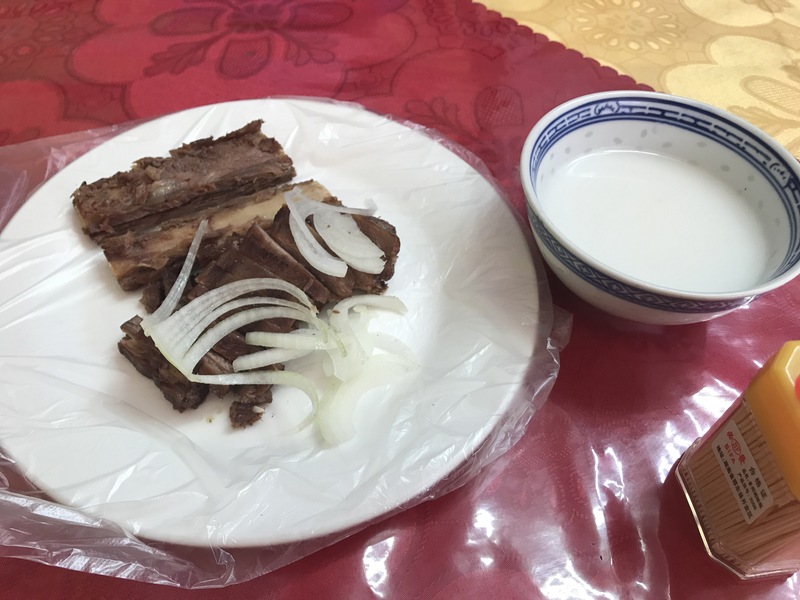 No trip to the summer house is complete without a stop at Grandpa’s house for milk tea and sweets. Once at the summer house, we ate and ate and ate some more. That’s what people do during holidays. Eat, drink, talk, sleep, repeat. Zola’s uncle’s summer house is next to her families’ so there were lots of people around. After eating my fill of different kinds of ham paired with cucumber, I took a nice long nap on the couch. I woke up in time for some delicious rice soup. 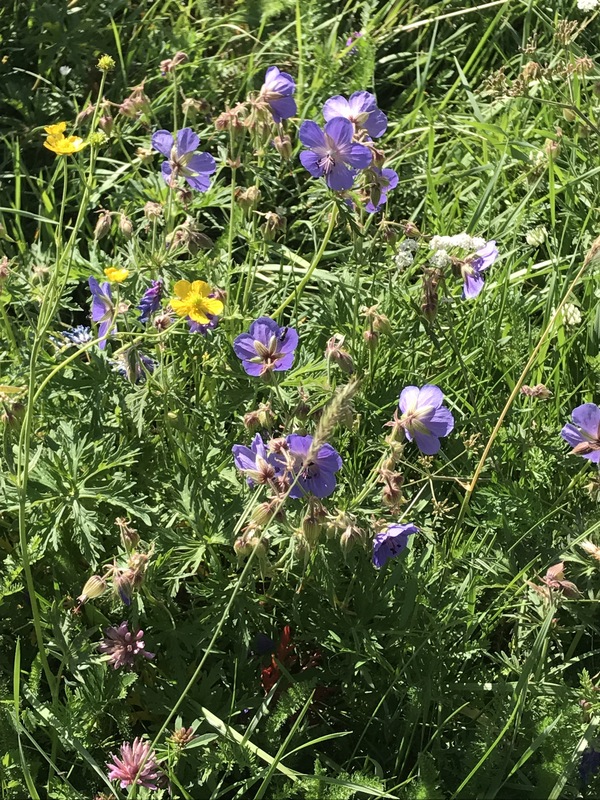 The wild flowers that grow in Mongolia are beautiful!! So many different colors. A beautiful handmade Kazakh felt rug Zola bought years ago. 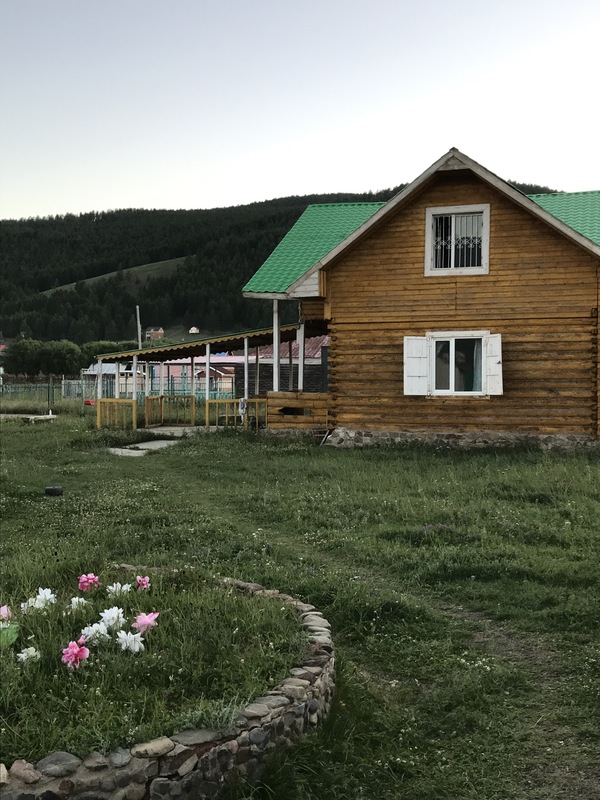 We stayed one night at the summer house, then left for Terelj National Park. 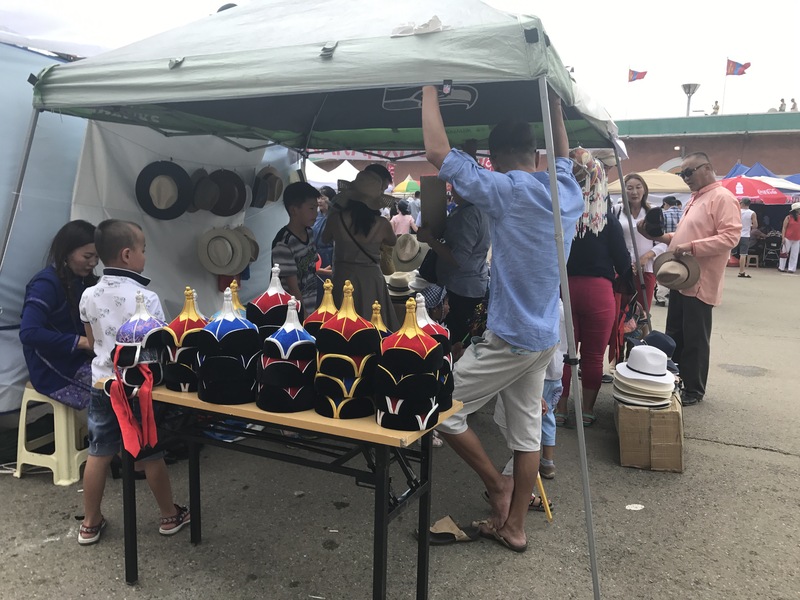 Naadaam is a unique holiday that is only in Mongolia. The whole country is celebrating! 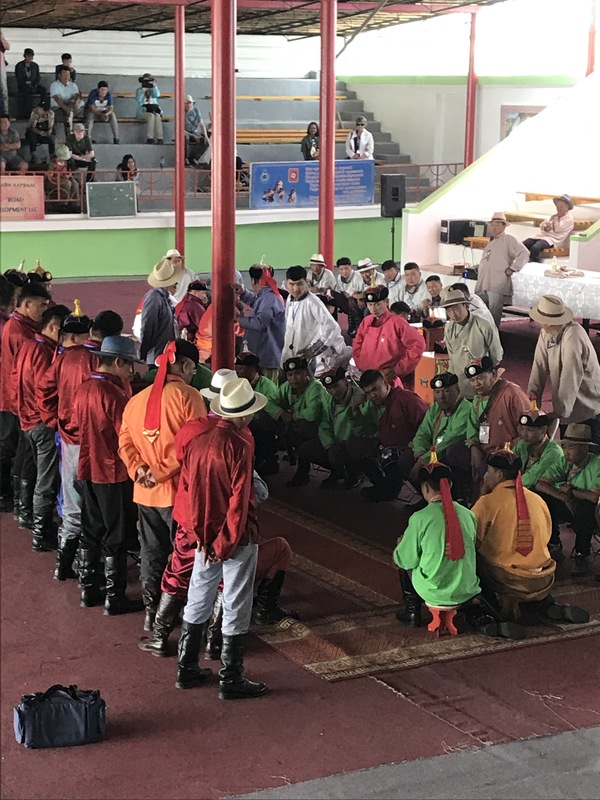 Throughout Naadaam, people eat and drink traditional food and watch wrestling, horse racing, archery, and an ankle bone game. Zola and I left around lunch time. 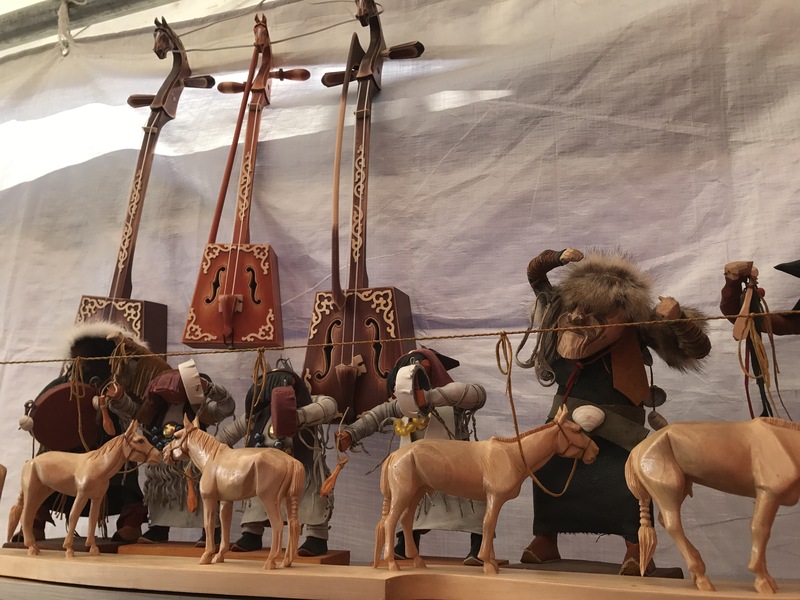 The streets were packed with people wearing traditional clothing, called Deel (pronounced del). We were both very hungry, so food was the first thing on our list. We looked for a place with shadow sit so we could get out of the hot sun. 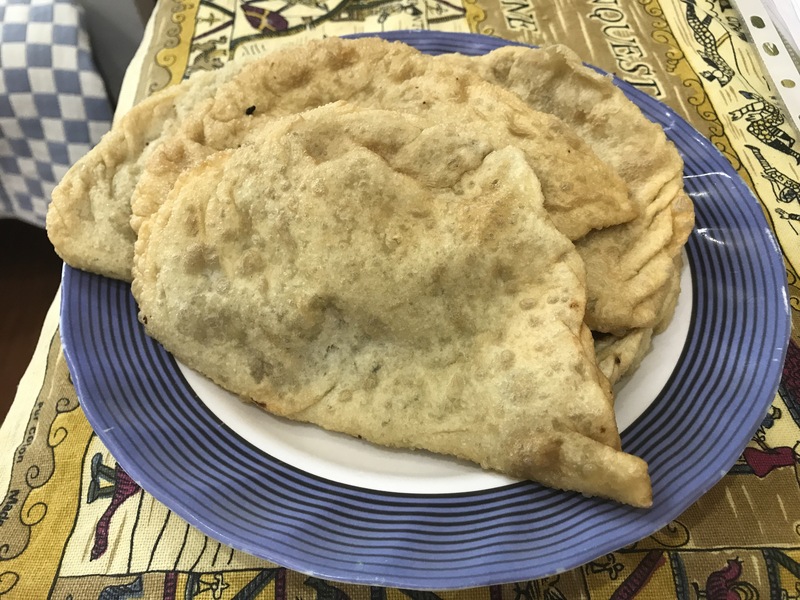 My first taste of traditional Mongolian food was a dish called Khuushuur, which is flat dough stuffed with beef or lamb and fried. We had beef. It was delicious! After that, we wandered around the market place looking for handmade goods. On the first day the entire stadium and surrounding areas were packed with people. 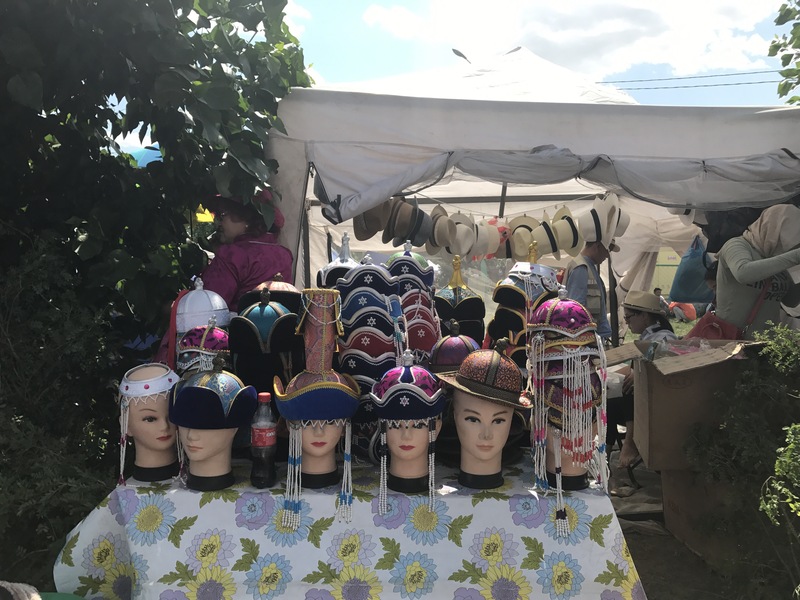 We saw mainly food vendors, and people selling traditional hats and headdresses. I tried Airag for the first time. 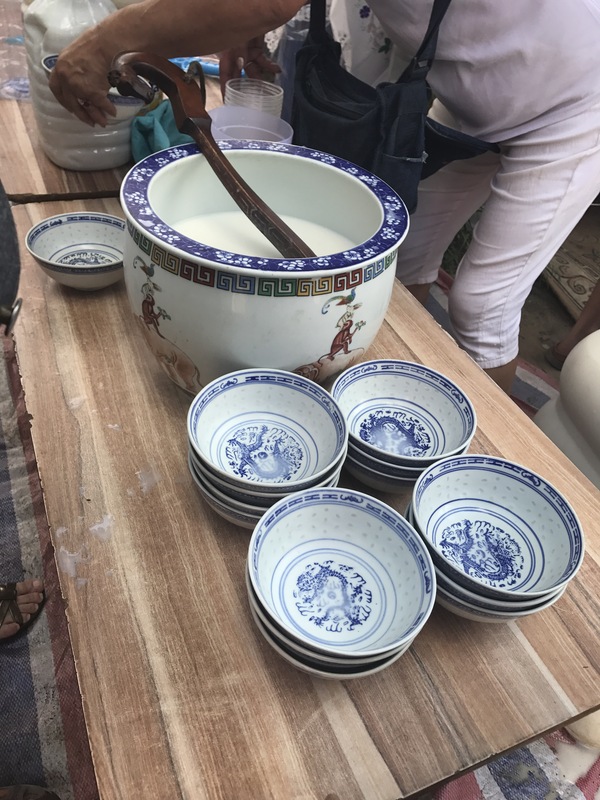 Airag is a drink made from fermented horse milk. The taste reminded me of a combination of yogurt and kombucha. 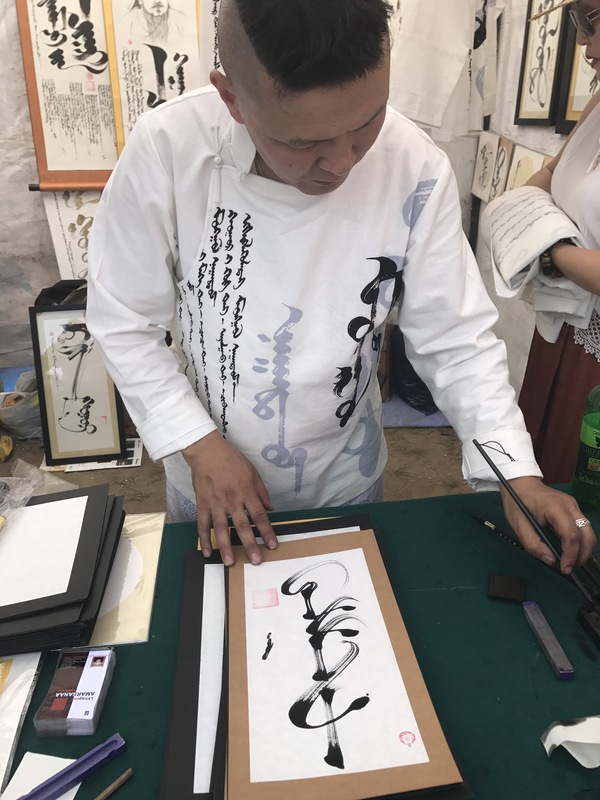 We came across a master in traditional Mongolia script. Zola had Kerry and I’s names written for us. It is such a beautiful language! We then looked around some more, and decided to call it a day. We watched horse racing and other events on TV. We tried to find a recap of the opening ceremony. Tickets were impossible to find because everyone wanted to hear the new president speak. Every other channel played some kind of traditional music. As we flipped through the channels Zola taught me about Mongolian music and culture. The next day, Zola and I went back to to partake in Naadaam festivities. I was able to go in to the stadium for a few minutes to take pictures of the wrestling. 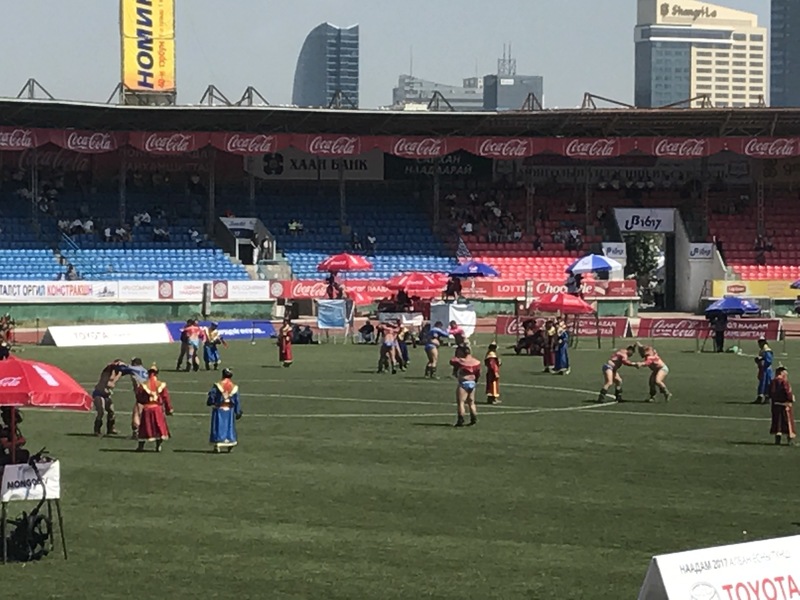 Mongolian wrestling is quite the sight to see. A wrestler looses when his knee or elbow touches the ground. We had horse meat for lunch. It was very good. I wasn’t quite sure what to expect. It was tender and had a very pleasant taste. All meat in Mongolia is free range and organic. As we walked around we found where the archery competition is held. Both men and women compete. What they wear for archery is absolutely beautiful. We watched the women for awhile. They are very talented. 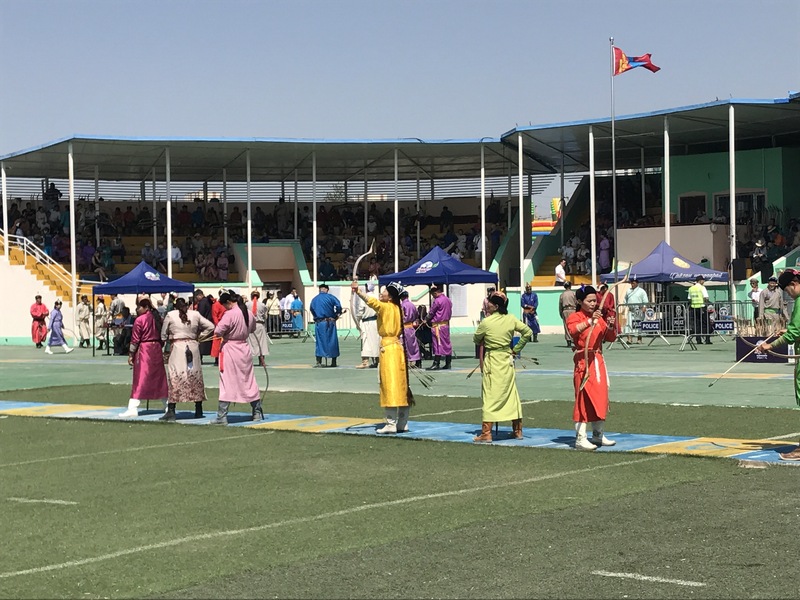 Mongolia has a long history of strong women. The ankle bone game is the fourth event of Naadaam. Men flick an ankle bone from a sheep at a target trying to knock things down. I was able to see a little of this game. Everyone was cheering. 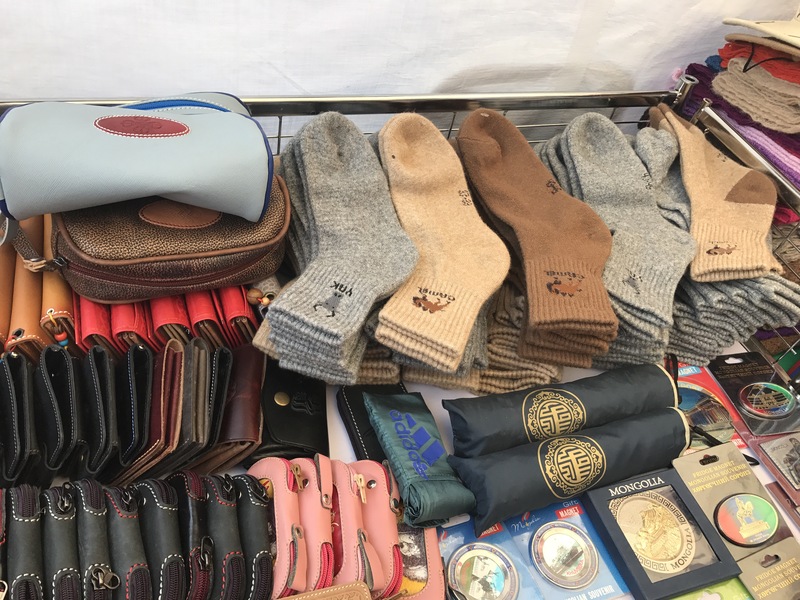 We saw much more of the market today, than we saw the first day. There weren’t as many people so it was easier to find our way around. 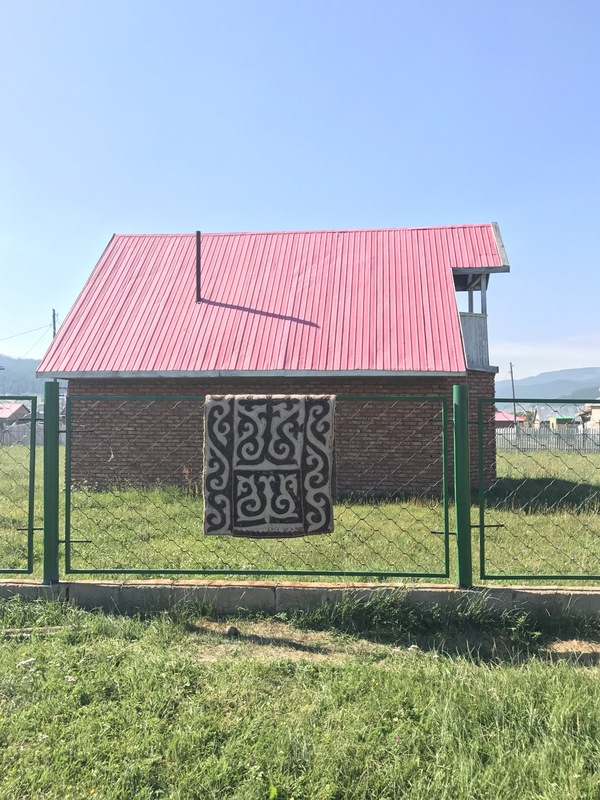 Part of our mission for the Great Steppe Fiber Project is to support people in their traditional craft. 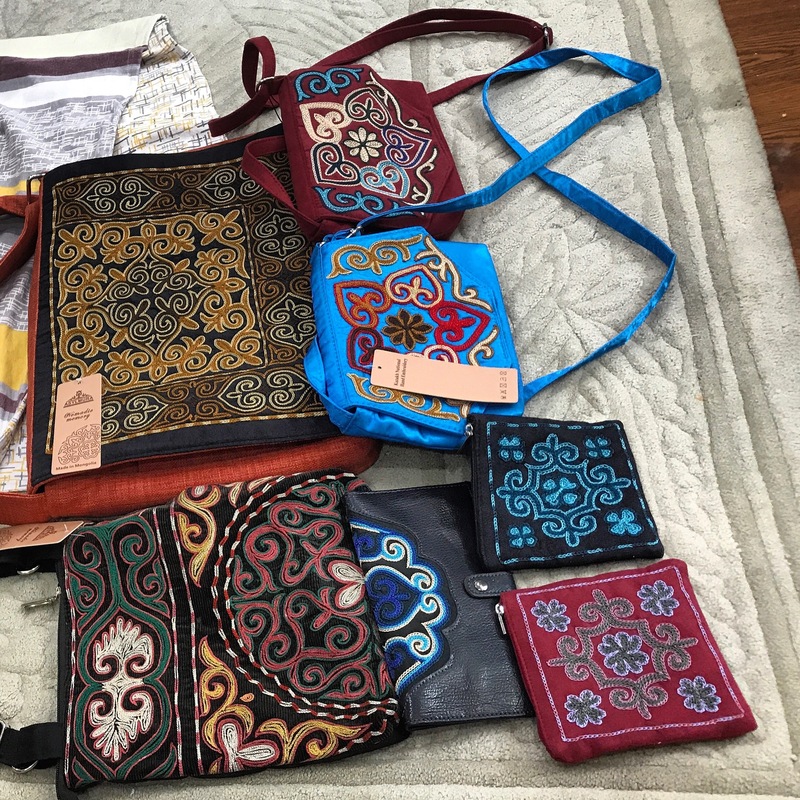 We met some Kazahk women who had a variety of items such as purses and wallets that were hand embroidered. We came across some very talented street performers. Here is a traditional tune. 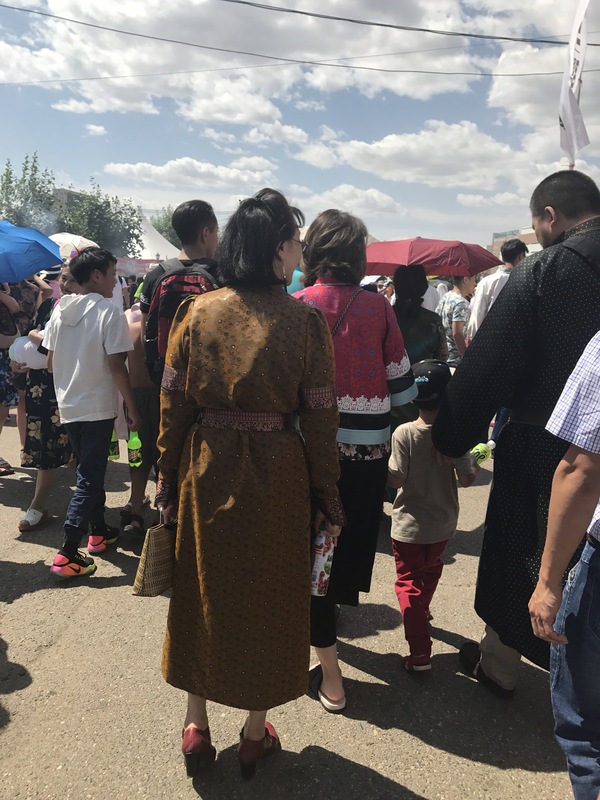 After another round of Khuushuur (this time lamb) and some shopping, we left the market to get ready to go to the summer house. I left for the airport on July 8. Traffic was bad! I wanted to get to the airport fast so I wouldn’t miss my flight, yet at the same time I didn’t want to say goodbye to my family. When I finally got to the airport, I was informed that my flight to Beijing was delayed by three hours. They were concerned about me missing my flight from Beijing to Mongolia. 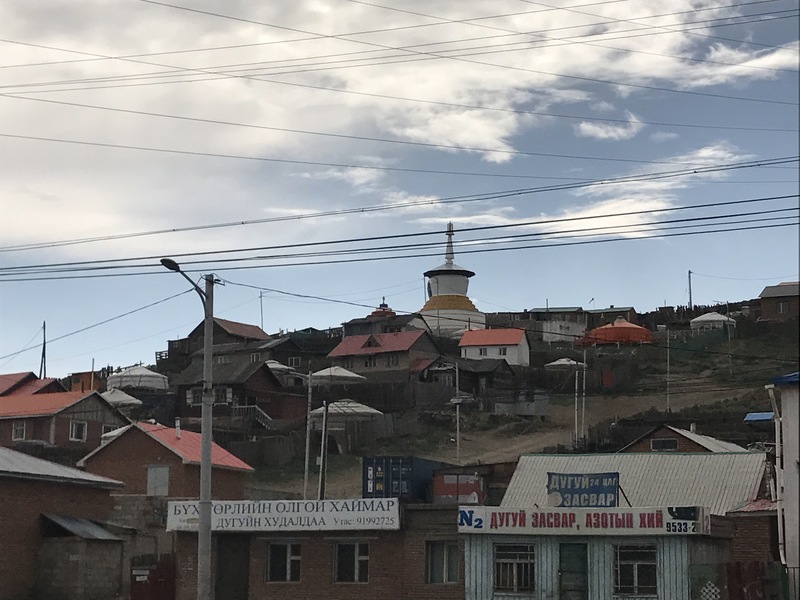 After a few phone calls, they told me they were moving me to a better seat on the plane so I could get off the plane faster, and that my luggage was being sent straight to Mongolia. 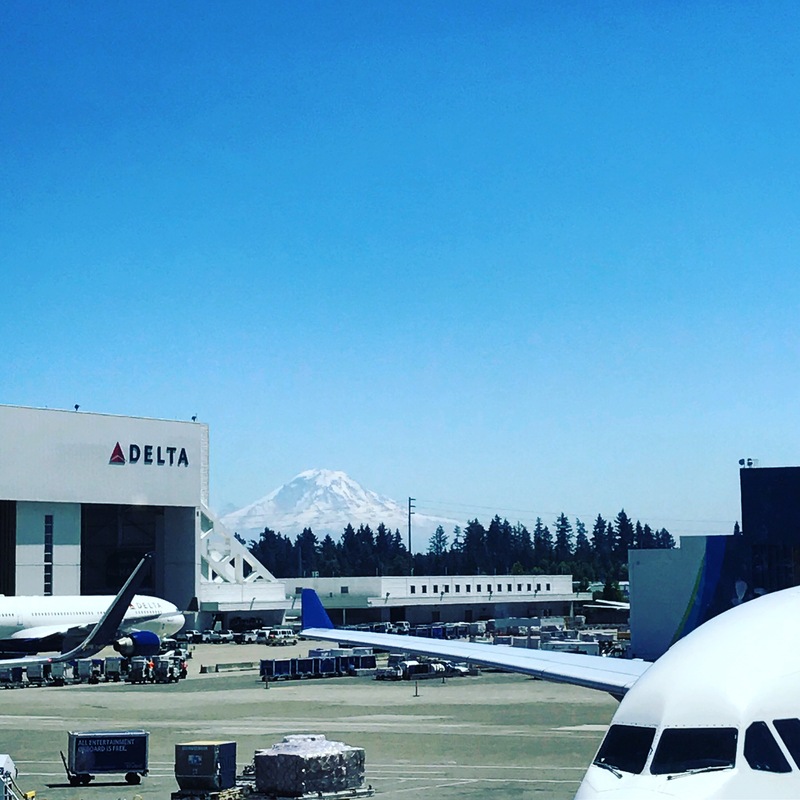 I spent the next few hours wandering around the terminal. I met some really nice people. Between talking to them and talking on the phone to my mom and boyfriend, the time passed quite quickly. I was excited and nervous at the same time. This was going to be my first time flying internationally, and I was going by myself. The flight itself was good. Long, and uneventful. The food was good, and I watched three episodes of Poldark. 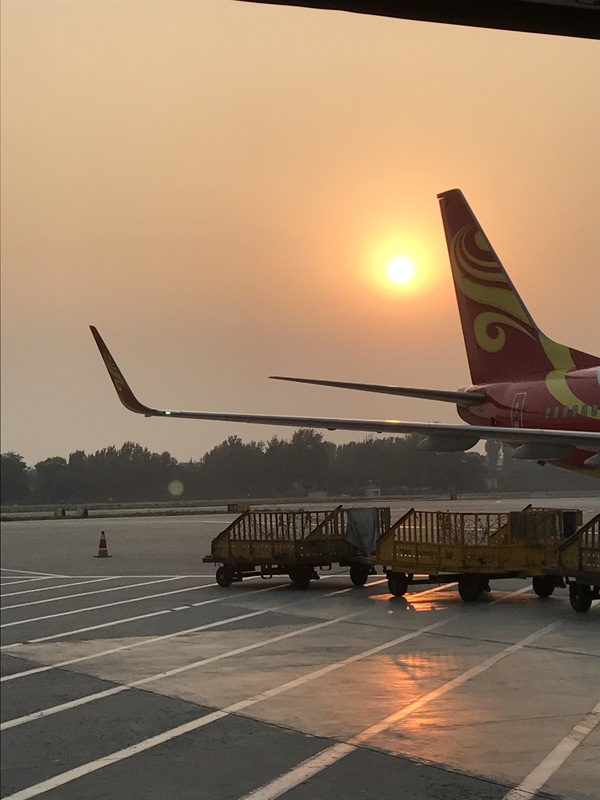 When I got off the plane in Beijing on the evening of July 9, I thought I was going to choke. The air outside was so thick! Hot and humid are the only words to describe the weather. Everyone on the plane had to cram onto a shuttle. In the long run it didn’t really matter if I got off the plane first or last. The Beijing Airport is like a giant maze. Trying to get through was so confusing, and the lines through security were very long. Eventually I reconnected with a girl I had talked to before my flight. She is super nice, and helped me find my way to the shuttle that would take me to Terminal 3. All I could think about on the ride over was I hope I make it in time. I rushed off the bus and immediately started looking for the sign for Mongolian Airlines. I found it outside, but couldn’t find it inside. Eventually I found the customer service desk. Upon asking where to check in for my flight, she told me I was too late and missed the flight. Check in ended an hour before the flight. I missed the deadline by a few minutes. Without a certificate of delay there was no way I was flying to Mongolia that night. To say I was panicking would be an understatement. I was sent back to Terminal 2 to get a certificate of delay and to see what could be done about a new ticket. The lady at the ticket counter was very helpful. She wrote up the certificate of delay for me. About 45 minutes and several phone calls later she handed me a new ticket, and sent me downstairs to get a free hotel room. My next flight was scheduled to leave at 1:40am on July 11. Downstairs the guys at the ticket counter said I couldn’t get a free hotel for a weather delay. Some really helpful students helped translate for me. They explained that I could catch the bus with them to the hotel and I could pay for a room there. When we got there, they helped translate again. A room for myself was going to be very expensive, so one of the girls offered to share a room with me. I am so thankful for their kindness! They left early in the morning to catch their flight. I was left alone with the room. Thank goodness for wifi! Being able to talk to friends and family made the whole situation easier. I met an American girl at breakfast. It was so nice to have someone to talk to! We had lunch together too. After lunch I was finally able to get some good sleep. My shuttle back to the airport left at 9:15pm. This time around I was able to find the check in desk. There was a lot of waiting involved. The check in counter for Mongolian Airlines opened three hours before the plane was scheduled to leave. While waiting our turn in line, I met an American man from Iraq, and a woman from Chile. Both were super nice! Talking to them helped the time pass more smoothly. Eventually, we all made it through the check-in line, and the security lines! I was finally going to Mongolia. Our plane was small, yet comfortable. I was pleasantly surprised to be served an actual meal. I’m so used to flying in America where you are lucky to get a small snack if you are on a short flight. The food and drink arrived just in time. I was so hungry!! Our plane landed in Ulaanbaatar a little after 4am. I met up with my friends at the baggage claim. I asked about my luggage. A few guys looked for it, and couldn’t find it at the time. They filled out a missing luggage report and sent me on my way. I was so worried. My luggage was filled with all the spindles and fiber I needed to teach spinning. Zola’s brother picked me up at the airport and drove me to where Zola was staying. The apartment is next to the National Stadium where the opening ceremony for Naadaam Festival would be starting later in the day. Naadaam is a huge even that only happens in Mongolia. I was able to get a few wonderful hours of sleep. I sat down in the living room after waking up and Zola handed me a delicious cup of berry tea. As we were talking about our plans for the day, I looked over and saw my luggage. I was so happy I cried!! Zola’s brother had picked it up for me when he went back to the airport to pick up a friend of his. I am so happy to be in Mongolia! I am grateful for all the people who helped me along the way. More about Naadaam Festival in my next post. What is the Great Steppe Fiber Project? My name is Madison. I work with Kerry at Jorstad Creek Dye Studio. 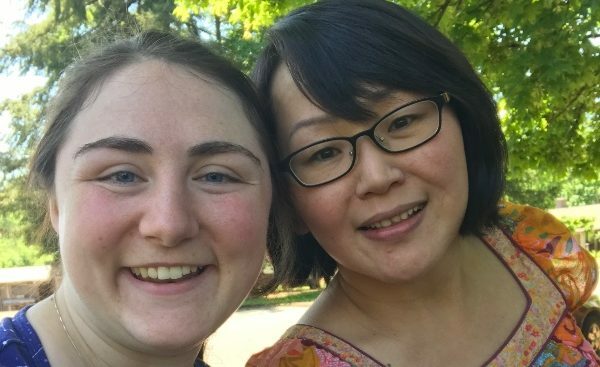 About two years ago, we met a wonderful woman from Outer Mongolia named Zola. As we got to know her, we learned that Mongolia doesn’t have a current tradition of handspinning yarn. Zola learned to spin yarn and wanted her friends and family to learn too. That’s where I come in. We came up with the idea for me to travel to Ulaanbaatar in Outer Mongolia to teach handspinning. I’m currently sitting in the airport in the airport waiting for my flight. 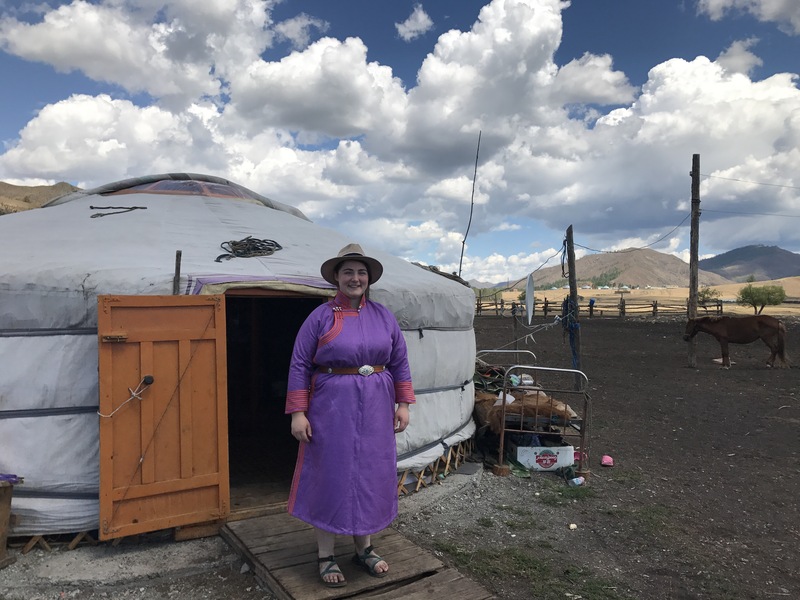 On this trip I will be teaching spinning and learning about traditional Mongolian felting. 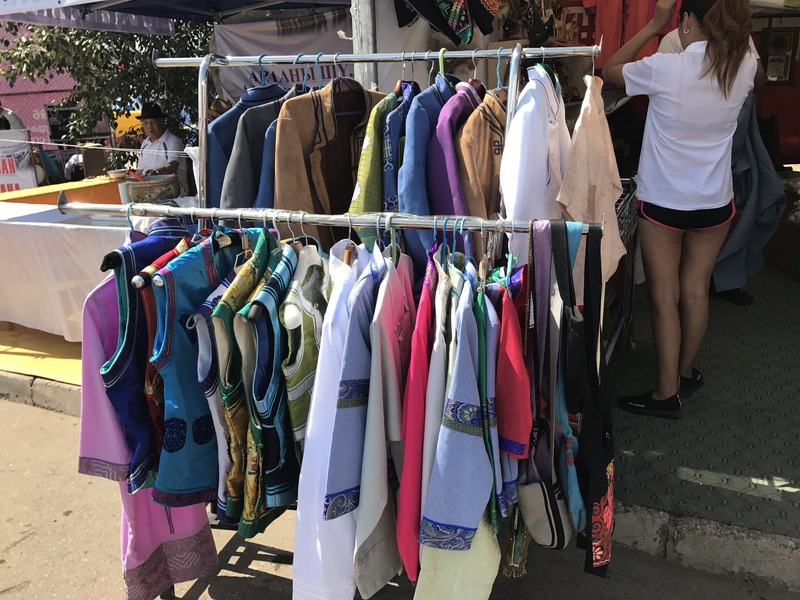 Our long term goal is to create a worker owned fiber company in Mongolia based on fair-trade principles.